You all loved the T-shirt Shop Series earlier this year and asked me to bring it back, so here it is! Summer is coming to a close but let's face it here in Florida I'll be wearing T-shirts for a few more months as the temps are still high. 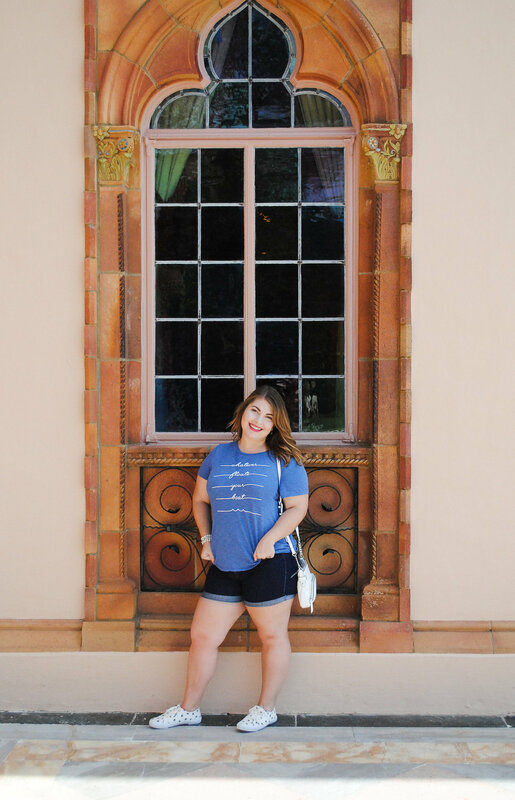 I recently visited my hometown of Sarasota, FL and while I was there we made a trip to The Ringling Museum. **Side not if you have never been definitely make a trip and visit this museum, it's one of my favorite places in SRQ and the art is unreal! ** Anyways back to our look, the museum is huge and has several different parts both inside and outside, regardless you do a lot of walking. Lots of walking calls for a cute and comfortable outfit especially when outside in the heat. So of course my go to was a cute T and some denim shorts and printed sneakers all from my favorite, Old Navy. The museum is on the water so my t-shirt has a fun saying on it to give the outfit something fun! I will link everything below for you guys! 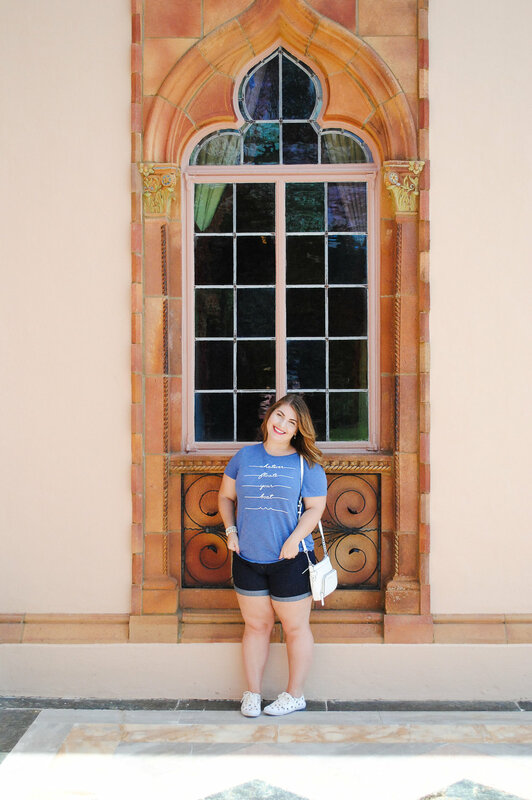 Let me know what your current favorite t-shirts are and where you like to shop!